Over the last decade we have delivered training, assessing and or consultancy to some 45 towage companies in many countries around the world. The SeaWays Tugmaster Training Program© has successfully trained and accredited over 700 ASD/ATD/CTS/VSP/RotorTug tug & vessel masters and over 50 pilot boat coxswains. Uniquely our Training Program proves conclusively Compliance & Competency to all recognised industry standards. We have facilitated workshops for “The Effective Use of Omni-Directional Tugs” to >400 marine pilots in numerous countries. SeaWays has been involved as consultants and trainers for the establishment of new towage operations in 16 ports in Australia and overseas. We have formal Agreement with Transas Simulation to develop simulation software and have established four simulation training centres strategically located around the world. Every step in the development of tugmasters skills is recorded in the training manual of the SeaWays Tugmasters Training Program© by way of check boxes which are themselves grouped together via the relevant exercises. By this system a trainee cannot progress beyond an exercise until both trainee and the trainer sign off that they are ready to progress to the next level. The formalised and staged approach through progressively more difficult exercises also ensures the trainee (and the tug) are never put into situations they have not developed the skills to handle. At the completion of training a standard non-subjective Competency Assessment is undertaken to assess the skills of the trainee. This involves undertaking a series of manoeuvres we affectionately refer to as the “Competency Circuit”. 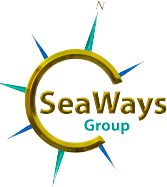 SeaWays Europe (SE) is a UK company established to provide SeaWays’ raft of activities in the European region and to manage the SeaWays Training Academy (STA) in the United Kingdom. Managing Partners Capt Steve Sandy and Capt Neil Sadler are both highly regarded professionals with an extensive track record of excellence in the towage sector as tugmasters, training masters and senior marine managers. STA is a world-class training facility that provides cost effective advanced simulation tugmaster and pilot training to SeaWays’ clients and for individuals who wish to self fund their own tugmaster training. It is also the international showroom and research & development centre for Transas Simulation. What causes excessive cavitation vibration and how to avoid it. This has a significant impact on long-term maintenance of all the tug’s machinery particularly seals and bearing in the drive chain while increasing fuel consumption and decreasing bollard pull. There have been over 700 tug masters who have successfully undertaken the SeaWays Tugmasters Training Program© and SeaWays’ has invariably benefited from on-going associations with its customers. 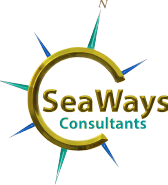 In all of its parts the SeaWays Tugmasters Training Program© has been designed and is delivered in a manner to achieve positive results via education and professional development, not failure. Our competency based training is without fear or favour, is non-subjectively assessed to a defined standard and encourages participants to be proactively and willingly involved. The SeaWays Training manuals have recently been totally rewritten and currently being accredited by DNV Classification Society. The SeaWays Training Program is the only tugmaster training system in the towage industry that non-subjectively proves Compliance & Competency.